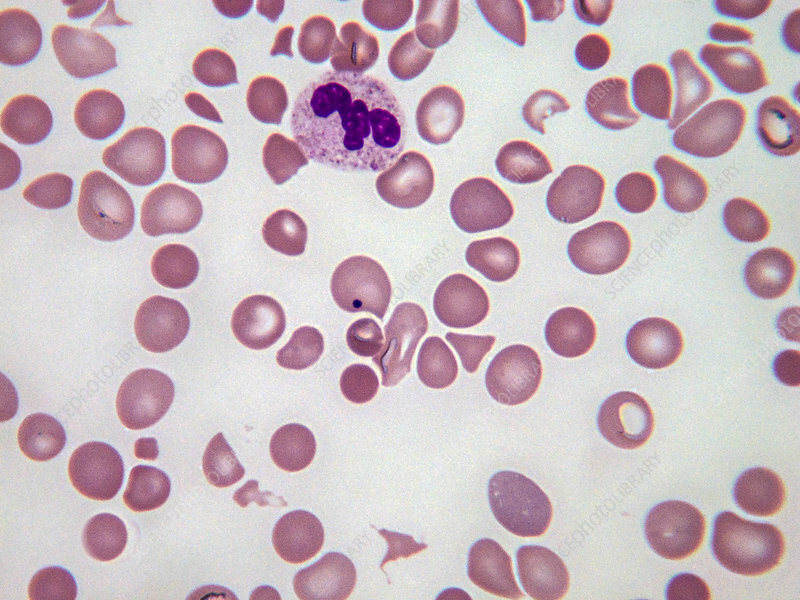 Pappenheimer bodies are basophilic erythrocytic inclusions that are usually located at the periphery of the cell. They contain iron and stain with Prussian blue. Light micrograph. Magnification: 100x.